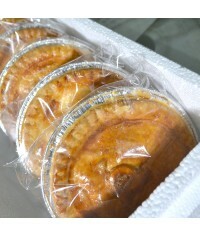 Packs of 10 pies: What's in the box? 2x -Egg, Bacon and Chorizo (Highly Commended) 2x -Steak .. Packs of 10 pies: What's in the box? 3x -Egg, Bacon and Chorizo (Highly Commended) 2x -Lamb H..